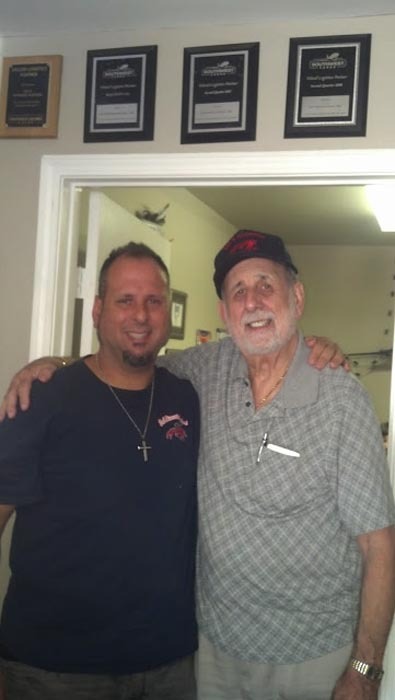 Founded in 1975 by Sal Junda Sr., Sal’s Riverside Seafood is a family-run New Orleans tradition. We have been shipping fresh and pre-cooked Gulf seafood around the country for the last 40 years, and our experience shows. We are located in the shadow of Louis Armstrong Airport, so we can get our food on a plane to you as quickly as possible. Whether you need live crawfish and crabs to host your own Louisiana-style boil or you want lump crabmeat, sausage or Cajun boudin, call us today at (504) 464-1100! At Sal’s, we also love to cater events in Southeast Louisiana. We have the seafood, equipment and expertise to help you in hosting even your largest events. Our chefs have developed Sal’s own in-house blend of spices to season your seafood perfectly. Not only can we bring out our trailers to boil thousands of pounds of seafood at a time, we also have a barbecue rig so we can complement your seafood feast with smoked pork and beef. Here at Sal’s Riverside Seafood, we pride ourselves on not just meeting your expectations, but going above and beyond them, every time. Our customer service is second to none! Call us today at (504) 464-1100 to ship your seafood or help plan your event, and we promise that you will not be disappointed. Contact us or stop in to place a shipping order or book a catering date. Sal Junda Jr. and Sal Junda Sr.